The square hosts a large circular fountain with gushes, and today is an important junction in the traffic, as it allows to reach the railway station, the city centre and the shopping mall “Freccia Rossa”. 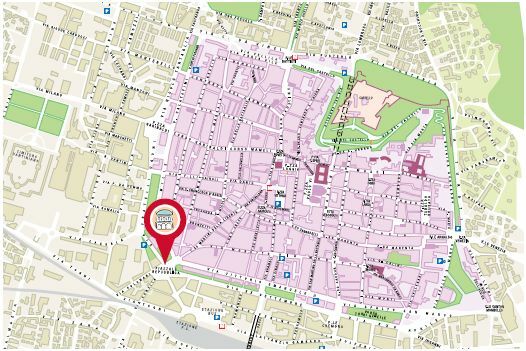 Republic Square was born with the destruction of San Nazaro port, due to an explosion caused by a lightning in 1769. 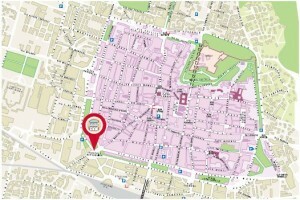 In 1909 it was called Rome Square, and then it took the current name. In 1864 the surrounding area was reorganized, but in 1889 it was demolished. In the same year, in the middle of the square, a small lake was dug , where people or carts stopped taking delighting in the cool water. In 1930 the small lake was replaced with a fountain, and in 1957 the current fountain with gushes was built. Long excise gates were in the sides of the fountain, they were built in 1852 and demolished in 1909, they were “monitored” by two big stone lions elevated on high and thick bases, in 1914 they were transferred to the entrance of the famous temporary zoo in the Castle of Brescia. On the gates the word “entrance” (on the left of the signal tower) and “exit” (in the front of current Corso Martiri della Libertà and Via Matteotti, once Corso Vittorio Emanuele) were written on white festoons. On the right side of the fountain, in addition to a timber storehouse, there was Corniani House, demolished in 1962. 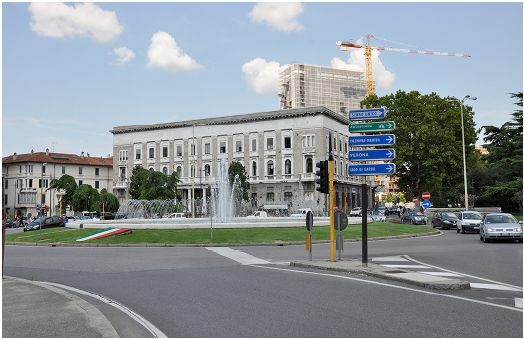 Other buildings look onto the square: a palace that hosted Fascist trade unions, and now hosting council offices, built in 1928, Togni Palace, built in 1931, and Folonari Palace, built in the 50s. Today the square hosts lots of celebrations, in particular when the national football team wins the world cup, or favourite team wins the championship, we celebrate with a swim in the fountain. 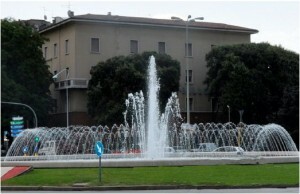 The fountain, today, is a traffic circle and it is a crossing point to reach the city centre, the railway, bus and subway station and the shopping mall “Freccia Rossa”.